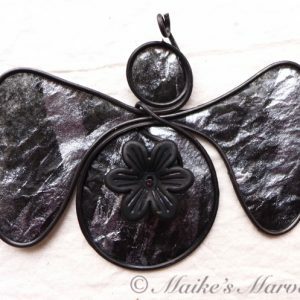 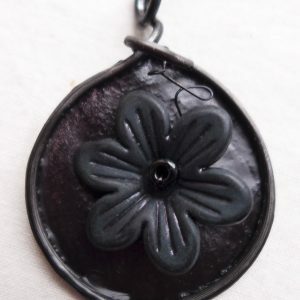 I have some friends who are drawn to the darkness, so I decided to let them inspire me.Â I found this dark resin flower at a bead and button show, and decided to give it a black background as well. 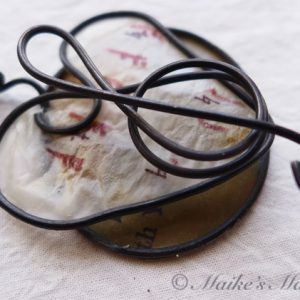 26-gauge wire was wrapped into a circle. 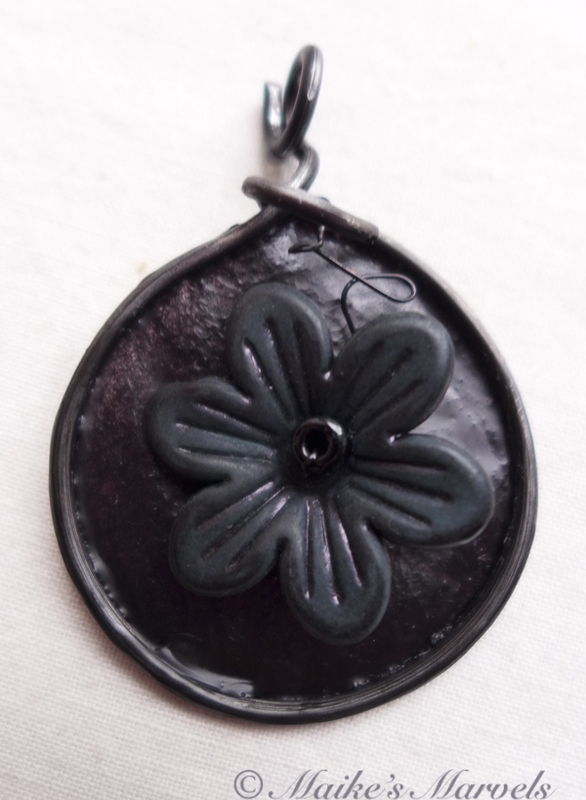 Then I used black wire to attach the flower to the pendant. 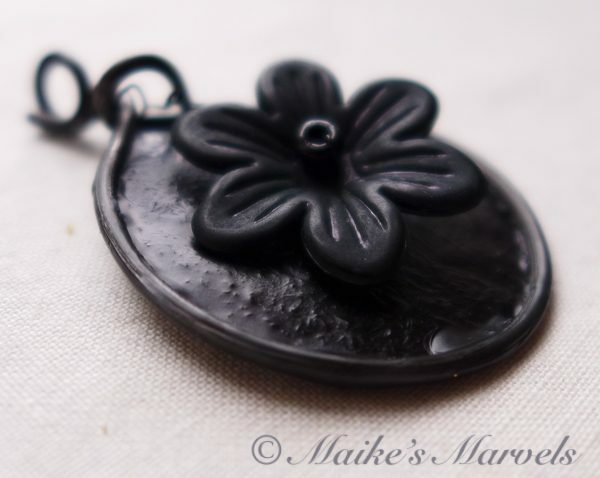 I added black tissue paper dipped in encaustic medium to complete the look. 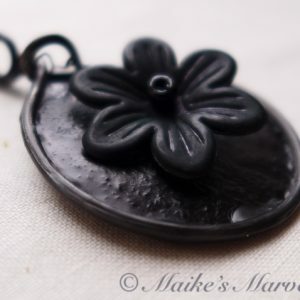 Enjoy this flower with your black wardrobe, or use it to add pop to a more vibrant fashion collection. 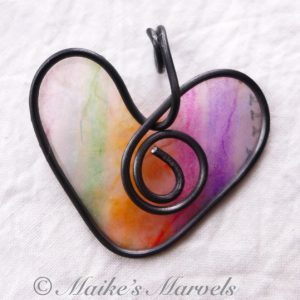 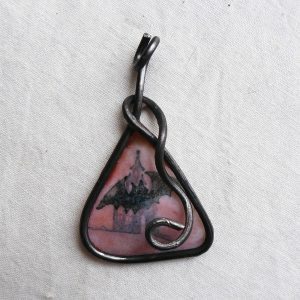 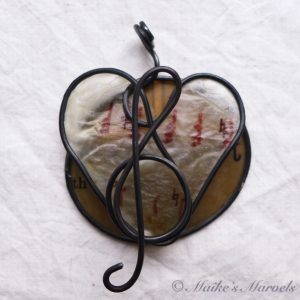 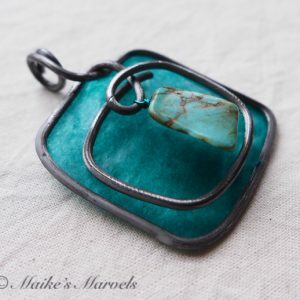 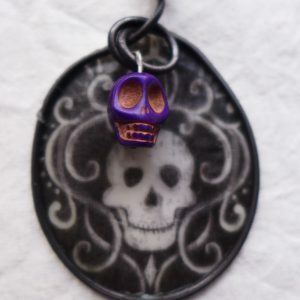 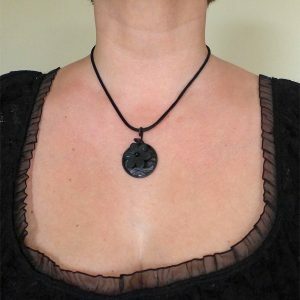 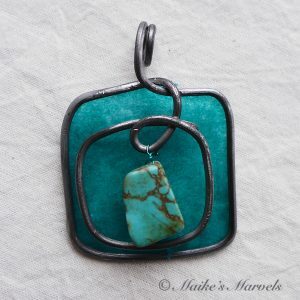 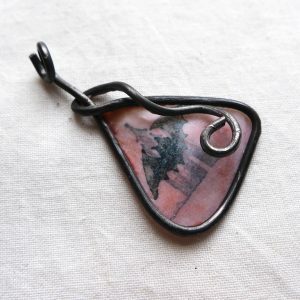 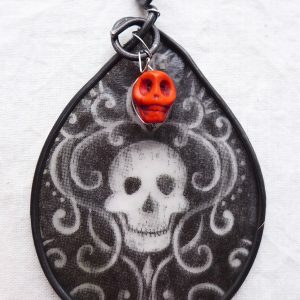 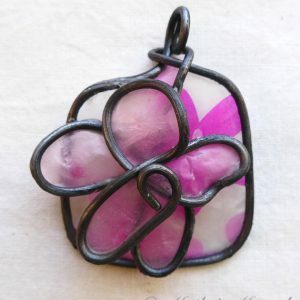 This one-of-a-kind pendant measures 1 3/4 inches wide by 1 1/42 inches tall and comes with a black satin cord. 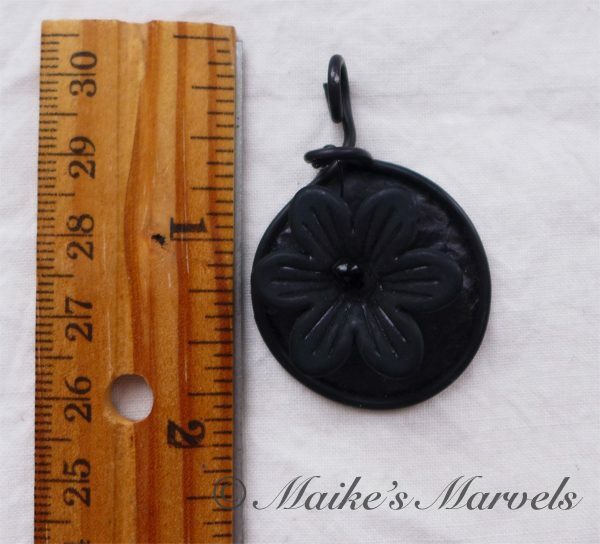 Pictured is a 16″ cord. See other available lengths in the additional information tabÂ and use the drop down menu for your order.